Do You Have Hearing Loss: How Might That Change Your Driving? 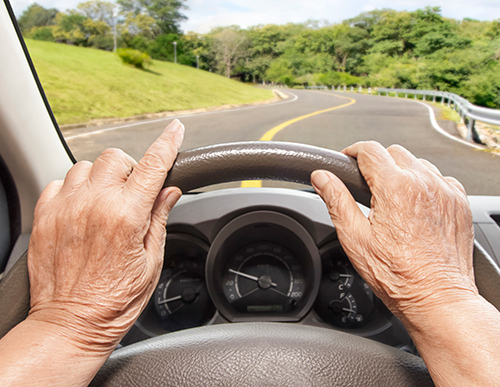 Hearing loss is a common ailment that older individuals must deal with, but should it be why they stop driving? There is no real answer since few people drive exactly the same way. A loss of hearing is definitely something you want to consider when getting behind the wheel of your car, but a safe driver isn’t going to change just because they notice mild hearing loss. People who were bad drivers before their hearing challenge began will still be bad drivers after. What should you do if you are experiencing hearing loss and still want to drive to work each day or take a road trip during the summer? Is it still safe even though you don’t hear as well? If you do notice hearing loss, chances are it won’t really affect your driving…not right away, at least. That day may be coming, though, especially if you don’t do something to stop the decline. Johns Hopkins Medicine reports there is a direct connection between ear health and brain health. Fighting to hear changes the way the brain to uses valuable resources. It’s a struggle to understand words, for instance. This is likely a contributing factor to brain atrophy, which means dementia. A person suffering with dementia certainly can’t drive. Driving requires keen observational skills and some of that is auditory, but that doesn’t mean you can’t drive with hearing loss. The Center for Hearing and Communication estimates about 48 million Americans have significant hearing loss and a good portion of them still drive. When wearing your hearing aids, you need to be be a more observant driver, which leads you to tip number two – get your vision tested. After all, when it comes to driving, vision is the thing that matters most, so it’s time to ensure yours is good enough for driving. Ask your physician to double-check your night vision, too, just so you know whether driving after sundown is a viable option for you. If you don’t hear well, you need to be extra cautious about your eye health and vision. Keep the chaos down inside the car, too. In other words, get the noise to a minimum, so you can focus on hearing the important stuff without distractions. Shut the radio off completely and ask anyone riding with you to keep quiet, as well. Get used to checking your dashboard regularly. It’s the little things that will add up when you drive with hearing loss. For example, you will no longer hear that clicking noise that tells you that your turn signal is on. You will have to rely on your eyes to pick up the slack, so get in the habit of checking to see what your car is trying to tell you.